The whole industrial house decorating style is about rawness. Rustic wood, exposed steel and bare cement walls are the main things you will see in an industrially designed room. 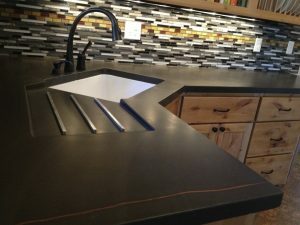 Some people believe it’s impersonal, some even say that the industrial style ugly, but everyone agrees it’s definitely unique. 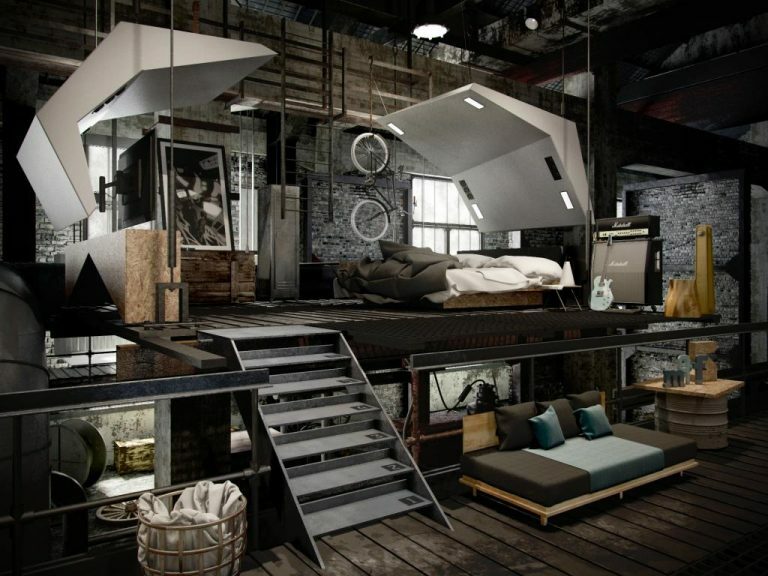 Let’s see how you can obtain a pleasant industrial decor in your own home. While bare metal bars are usually seen outdoors, the industrial style places them indoors. This would also save you money. For example, metal chairs that even have a bit of chipped paint would fit right into this style. Any signs that the furniture is a bit worn and rusty go well with the whole industrial idea. The industrial style is not about bright colors. You will mostly see neutrals like black, white and plenty shades of gray. Variations of brown and beige are frequently used too. Also, feel free to add unpainted wood to the mix. It will contrast with the metal while sticking to the main theme of raw materials. The easiest way to industrialize a room is to strip it naked. This means taking the paint off a wall to reveal the bricks or cement walls, not painting wood surfaces and exposing any beams, ducts or pipes that run through the room. There’s a thin line there and it can be hard to know when you crossed it, which is why we recommend looking at many photos online to grasp the concept before you tear down walls and bring the rusty lawn chairs in your living room. You could even ask for the help of a professional if you don’t think you can pull it off on your own. After all, there’s no shame in asking for help. If you sort of like the style but don’t want to go all in, it’s best to add industrial elements to your modern home in an attempt to mix and match contemporary styles with simple hardware, pendant metal light fixtures and other cues that suggest the idea of industrialization. You could expose mechanical details in your house such as pulley lighting and load bearing beams. Who says artwork has nothing to do with bars of metal and brick walls? For example, you could leave an exposed brick wall on which you paint bold graphics or even graffiti if that’s your thing. Use that space to depict symbols of what matters to you. This will turn a boring wall into a piece of art that will inspire you every time you see it.